3D integration is a promising advanced manufacturing process offering a variety of new hardware security protection opportunities. 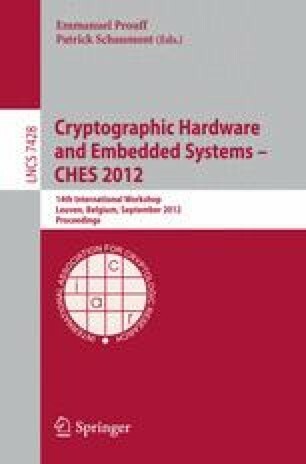 This paper presents a way of securing 3D ICs using Hamiltonian paths as hardware integrity verification sensors. As 3D integration consists in the stacking of many metal layers, one can consider surrounding a security-sensitive circuit part by a wire cage. After exploring and comparing different cage construction strategies (and reporting preliminary implementation results on silicon), we introduce a ”hardware canary”. The canary is a spatially distributed chain of functions F i positioned at the vertices of a 3D cage surrounding a protected circuit. A correct answer (F n ∘ … ∘ F 1)(m) to a challenge m attests the canary’s integrity.